My artist friend Emily Wilkinson told me about a derelict cottage she’d found on Lewis that was entirely covered in fishing nets. She showed me a short film she’d taken of it. The wind rose out of the film, and the house seemed hauled ashore. 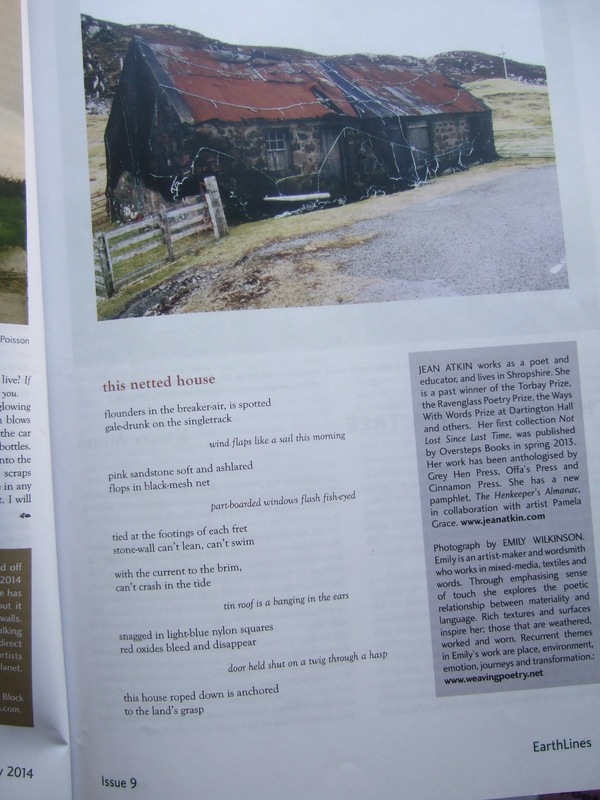 I wrote a poem, and delightfully, marvellous Earthlines magazine has published my poem and Emily’s still. We also experimented, in a rather low-tech way, and managed to make a short film-poem. Thank you very much to online magazine Island Review, who published it. You can view it here on Emily Wilkinson’s website. Previous Previous post: Poems for the Farm – a Last Hurrah!